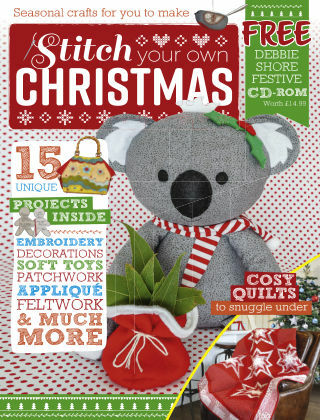 With Readly you can read Stitch your own Christmas and thousands of other magazines on your tablet and smartphone. Get access to all with just one subscription. New releases and back issues – all included. Stitch Your Own Christmas is a place of inspiration; it combines creative techniques with a vast array of styles and themes taken from a team of leading craftspeople throughout the world. Stitch Your Own Christmas is a publication that is at the forefront of the industry, made by people who are passionate about craft. This Christmas-focused bookazine features step-by-step, easy-to-follow project ideas and downloadable templates covering a variety of crafts and techniques including quilting, embroidery and appliqué. Each feature includes inspirational photographs of fantastic finished festive projects, including some that would make delightful gifts for friends and family, while providing the keen crafter with hours of enjoyment and fulfilment as the evenings draw in.